Those looking for a balance between price and performance are probably going to find what they need in $300 price range. Speakers that populate this segment of the market are generally more powerful than what you can find in the $200 segment. On top of that, they bring more complex tonal profiles, which are into high fidelity audio territory. 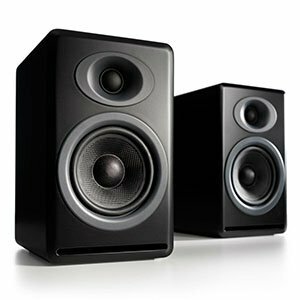 We have chosen some of the best bookshelf speakers you can find for this type of money. This should make it easy for you to find out what kind of performance you can get if your budget maxes out at $300. A piano black design which drips with elegance and unassuming style. Naturally colored materials to offset the glossy blacks. A wide soundstage that is heavily immersive. Bass can be a little fuzzy, but it isn’t a deal breaker by any means. When it comes to audio, Yamaha has an absolute ton of experience. And all of it shows with the triumph that is the NS-333s. Featuring a stunning design that will look good in any environment, they also have the audio performance to match with a clear, immersive, and high quality sound that will impress across a wide range of applications. ​Although the audio is extremely good across the board, we did notice that the bass was a little lacking in clarity as compared to the rest of the mix. This is by no means a major issue, and was more noticeable at volumes approaching maximum which, for the most part, probably won’t be your standard listening experience. Otherwise, a fantastic choice. A phenomenal design that feels luxurious, solid, and robust. A compact form factor which is versatile and does the job. The sound presence exceeds expectations, and quality is broadly good. The bass is not as deep as some would like it to be. 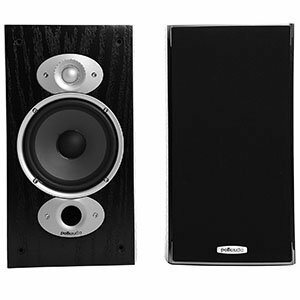 With the P4 model, Audioengine has made a bold and successful foray into the world of passive speakers. Sporting a visual design that is about as good as you are likely to get at this price point, and featuring drivers that deliver a solid listening experience across the board, you could do a whole lot worse than a pair of these. Impressive performance for the price. Cab vibrations in certain frequency bands. 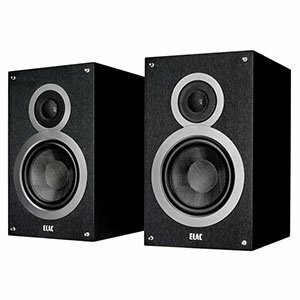 Andrew Jones designed ELAC B6 Debut bookshelf speakers have created quite a lot of commotion in the industry. This famous designer has once again managed to create a speaker that blows most of its competition out of the water. All that while maintaining a highly competitive price. You won’t find a model that is much better than these for $300. ​Our only complaint with the B6 Debuts is quite an unusual one, and has to do with the functional design of the cabinets. It could be that this is a problem restricted solely to the models we tested, but we found that the cabinet vibrated audibly at certain frequencies. This, obviously, is less than ideal, especially if you find that the resonant frequency is one which occurs a lot in your media. Performance that punches way above their price range. Only black vinyl version currently available. In the world of high-end audio, it isn’t often that you see brands make risky moves. Especially in the more affordable segments of the market. KEF Q100 is an exception that works surprisingly well considering the price. With a balanced and comfortable response, these coax speakers will give you a taste of high-end segment of the market. ​There is very little to dislike in the Q100 offering. 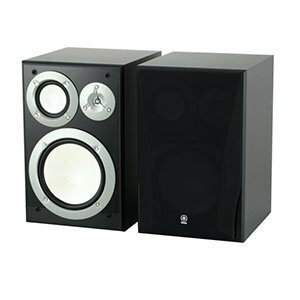 The sound, across the board, delivers on its promise of balance, nuance, and clarity; cranking the volume results in some serious power which is hard to ignore; and even the bass—notoriously difficult to get right in bookshelf speakers—performs well. If we had to pick a complaint, it would be that you can currently only get them in a black vinyl finish. Advanced cabinet design that actually increases performance. Great sound once properly set up. Really a bargain at this price. Polk Audio’s RTI series is known for a number of advanced solutions they have applied to it. RTI A1 is a more compact member of this family, but a powerful one nonetheless. It features all the good stuff we’ve seen in other RTI speakers, including tapered cabinets and advanced waveguides. 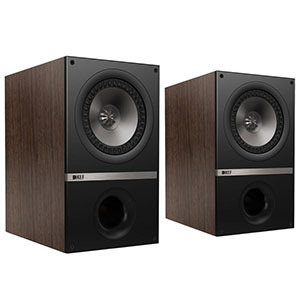 ​As is often the case in bookshelf speakers which are on the smaller size of what is available, the bass response can leave some listeners wanting more. Although the RT1 A1 does well for its size, that still may not be enough for people who look for the deep, weighty thump that is present in so much modern music. This issue notwithstanding, these are powerful speakers which deliver a great experience. An abundance of efficient features. Impressive tone that’s both versatile and powerful. The worst thing we can think of is the color of the baffles. Polk Audio’s RTI A3 speakers bring a breath of fresh air into a segment that has gone stale. Everything about these speakers is purpose built to ensure optimal performance. From grilles to its tapered cabinet design, RTI A3 is a finely tuned speaker with a lot of power and potential to offer. ​There is precious little to find fault with about the RTI A3s. The sound quality is exceptional for this price range, and even the bass manages to deliver a solid performance despite the fact that they are not very big. A whole host of useful features and the ability to deliver a performance which is as nuanced and versatile as it is powerful round out a fantastic offering from Polk Audio that ticks all of the relevant boxes. 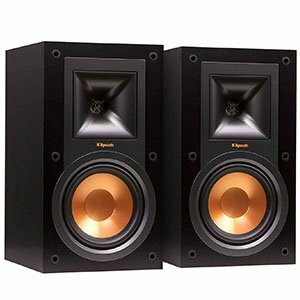 ​Although the highs and mids are exceptionally well defined and performed with a nuance and clarity that seems unusually good for the price range, you may find that the bass is a little lacking in power for your tastes depending on the kind of music you will be playing through these compact bookshelf speakers. All in all, a very solid choice. Affordable three-way configuration that works. Might be too big for smaller spaces. 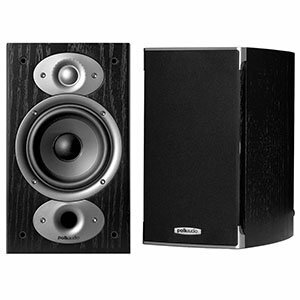 The Yamaha NS6490s represent one of the best three-way speaker models you can get on a budget. We are talking about an impressive performance coming from an affordable set. Yamaha NS6490 feature rock solid construction, a simple but effective crossover and a great selection of transducers. At this price, you can’t really ask for much more. 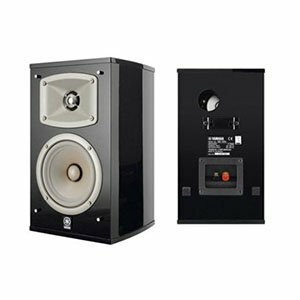 ​It is unusual for size to present an issue with bookshelf speakers, but the NS-6490s are actually pretty large for this type of device and you may actually find an issue with placement if you are hoping to, as the name suggest, stick them on a bookshelf. The benefit of this size, of course, is a better bass response, so it’s all swings and roundabouts. What Can You Expect From A $300 Loudpeaker? Speakers found in this price range are a good representation of what modern Hi-Fi market has to offer. In other words, they prove that affordable doesn’t necessarily mean bad. On top of that, if you look at the ELAC B6 Debut, you learn that a $300 home speaker can go toe to toe with a $1000 model and keep up. Pretty amazing stuff. However, it is important to know which speakers are good and which just look good. There are numerous models that don’t belong here, but are still marketed as good enough. Fortunately for us, those are easy to filter out. In general, a good $300 home speaker is going to give you a good balance across the range. This is also where we start seeing larger drivers, measuring even up to 6.5″ in diameter. One consequence of this is a more vivid and wider bass response. Some of the speakers found in this segment also feature pretty complex crossovers, which is something that is generally exclusive to more expensive models. On a similar note, you will see oddballs such as the KEF Q100. This awesome loudspeaker features that elusive coaxial design. Unlike a lot of brands out there, KEF’s creation actually works rather well. One of the more interesting segments of the $300 market are active sets. They aren’t too common, but you will find a few that really push this design to a whole new level. Getting an active bookshelf speaker might sound counter intuitive, however these are a great way to get yourself introduced to high quality audio. Most users take this path since you can still hook these up to a computer or a smart device. That versatility is always welcome. Once you figure out what a good set of transducers can do, making the leap into passive high end models isn’t that hard anymore. offered at a competitive price. That is why most consider this segment to be the absolute sweet spot for what are still affordable loudspeakers. Going for a $300 bookshelf speaker set is already well within what most audiophiles are comfortable recommending. You can well balanced models, but also those that are simply punching way above their weight class. It all comes down to what your needs and preferences are. Speakers listed above are definitely some of the best in this segment. We have shown you three different designs, each with its own unique nature. No matter which one you go for, you are guaranteed to experience a great quality of sound. With that said, we hope that you have found this short guide helpful.